Artist Zaria Forman makes the most incredibly beautiful drawings of ice and water I’ve ever seen. 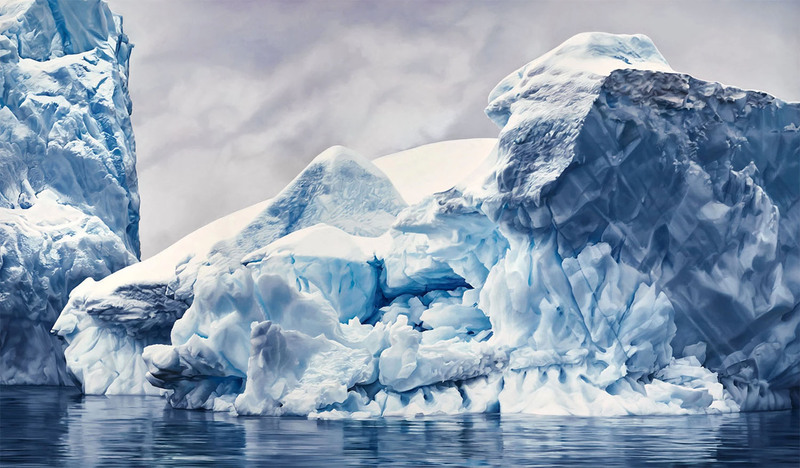 She originally wanted to capture the properties of light in icy locations like Greenland and Antarctica, but she quickly realized she could use her art to raise awareness about climate change. Her drawings are large: typically 60″ by 90″. I can only guess that looking at them on a fairly small computer screen barely does them justice, and imagine that standing next to one of these drawings would offer a completely different and perhaps overwhelming experience. Check out Zaria Forman’s beautiful work at her web site and this short video about her and her work.